Last fall we were in London for the #LoveLondonWeekend and had an amazing time. When staying in a busy city like London it’s great to have a comfortable hotel to stay in order to actually relax and catch your breath after a hectic day. We had the pleasure of staying at the InterContinental London – The O2 during our three day weekend. In this post we’ll tell you about our experience and review the InterContinental London – The O2. Be sure to read our post 9 Fun Things to do in London During a Long Weekend for some inspiration for your trip. Adress: 1 Waterview Dr, London SE10 0TW, Verenigd Koninkrijk. Find more information and prices on Booking.com. In total there are 453 rooms and suites in the hotel. 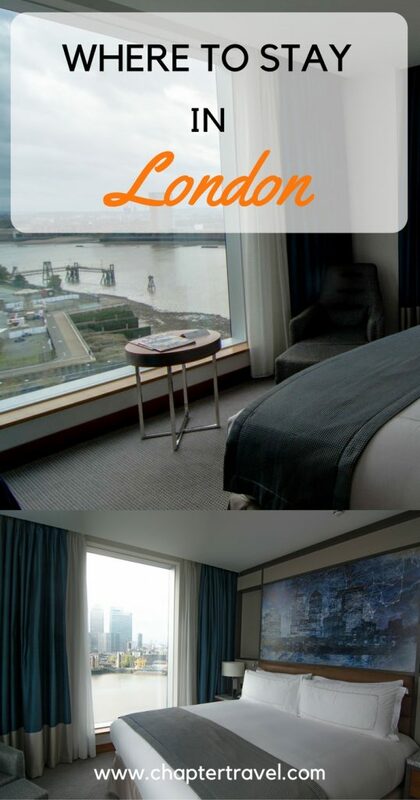 We stayed in a King Deluxe Room that looks out over the city and River Thames. Once we stepped in the door we were immediately taken away by the beautiful views! The room was not very big, yet relatively big for London standards and the two large windows gave it a very spacious feel. The kingsize bed was excellent and yes, we slept like babies. In comparison to the rest of the room, the bathroom was surprisingly large with a built-in bathtub and walk-in shower. Of course they included a lot of toiletries, such as shower gel, shampoo and more. 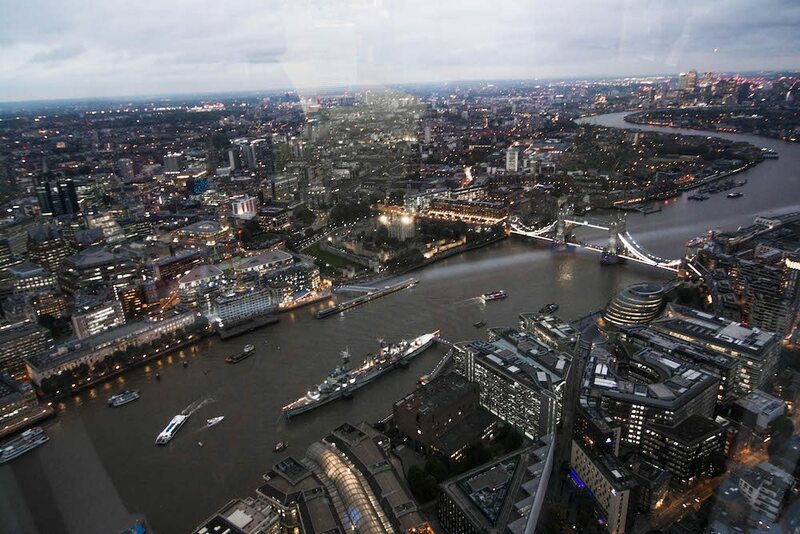 The InterContinental London – The 02 is situated in the Greenwich Peninsula next to, you could have guessed it, The O2. Furthermore, it’s located directly next to the River Thames. Across the water you can see the skyscrapers of Canary Wharf. We took the tube everywhere we went, and it was very easy from here. The Jubilee line tube train takes you to the main tourist attractions in approximately 10 minutes. London is a big city, so even if you’re in the centre of London, you sometimes still have to travel far to get to your desired location. Therefore we would always recommend to stay in a hotel that at least has decent public transport nearby. And of course, try to plan your trip a bit so you can make sure the location of your hotel makes sense for your stay. Next to the tube, you can also take the Thames Clipper river boat that connects the North Greenwich jetty with other piers, such as the London Eye and the Embankment. Unfortunately we didn’t have the pleasure to take a river boat this time, but we have before during another trip to London and it’s a lot of fun! We expected a lot from the breakfast at the hotel, as so far everything was excellent, from our room to the service of the staff. Luckily, the buffet breakfast was amazing and actually one of the favourite parts of our stay! There were a lot of options and we were bummed not to take more time to enjoy fully enjoy it. But hey, we had a busy schedule exploring London! On the 18th floor of the hotel you can find the Eighteen Sky Bar. During our stay we spent one of our evenings here and took a cocktail making class. It was a lot of fun and the drinks were very tasty! Of course, you can never go wrong with a few cocktails. 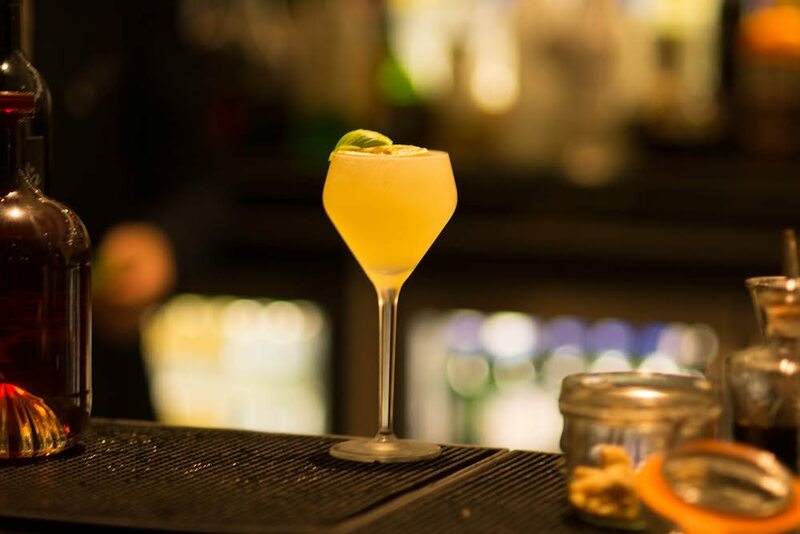 During a stay at the hotel we definitely recommend a visit to the Eighteen Sky Bar. There is a beautiful view over the O2, Canary Wharf, Thames Barrier and Docklands. We had a blast here during our Cocktail Class. Afterwards we had a relaxing time in the lounge area. We definitely recommend a stay at the InterContinental Hotel. The views are amazing, the location is perfect and we loved the breakfast. Especially if you’re going to a concert at the O2 it’s really worth to stay here as it’s walking distance! 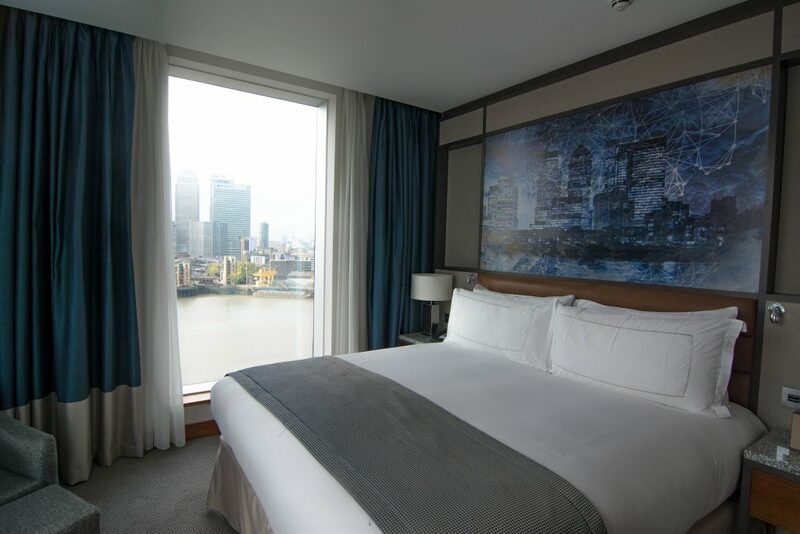 Check prices and book a room at The InterContinental London – The O2 on Booking.com. Disclaimer: This post contains affiliate links. This means we get compensation if you purchase the product, because we referred you to it. Using our referral link doesn’t cost you any extra money, but it does help us improve this website. All opinions in this article are honest and our own.